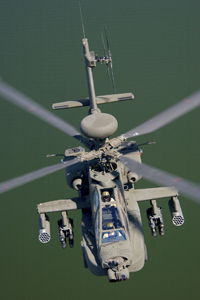 HAUPPAUGE, NY -- CIRCOR Aerospace, Inc., a CIRCOR International company (NYSE: CIR) and its Aerodyne Controls business unit, was awarded the Block III Diverter Valve content by The Boeing Company (NYSE: BA) for the transmission system on the AH-64D Apache Longbow Helicopter program. 690 Apache Block III helicopters are expected to be produced between 2011 and 2026. CIRCOR Aerospace currently provides the complete landing gear solution for Boeing’s CH-47 Chinook helicopter.